Why is Majordomo Executus under Curse of Naxxramas in tier 5? Looks like a typo left over from formatting. Thanks for pointing it out, fixed! P.S. : Witch legendary card we can't craft? That's exactly the problem i have. My legendaries: hogger, millhouse, the beast, tinkmaster overspark, the voraax... except for millhouse (dusted him in frustration) i kept all of them to not get them again. Just looking for advice; I am a Druid-heavy player; I like Jade Druid and maybe want to play BIG Druid as well (im missing some of the cards tho). Should I craft Kun? He is the only card Im missing from Jade Druid and I might dive into Wild next April, for many good Druid cards are going there anyway and many are already there). Public Mod Note (Chimera) : Merged with crafting guide. Public Mod Note (Chimera): Merged with crafting guide. When spellbreakesr leave the meta, Edwin will rule again. Opened one as well, after never even feeling to try and play the card, dusted it after a month or two. No regrets. Paper is fine, nerf Rock. Sincerely, Scissors. U can choose between 1 legendary u want or 1 unplayable bad golden legendary which probably won´t ever see play. Adapt him into something that is actually playable. Anger is the punishment we give ourselves for someone else's mistake. If I can draw your attention away for a moment... gotta ask, I just got Valanar - should I disenchant him? 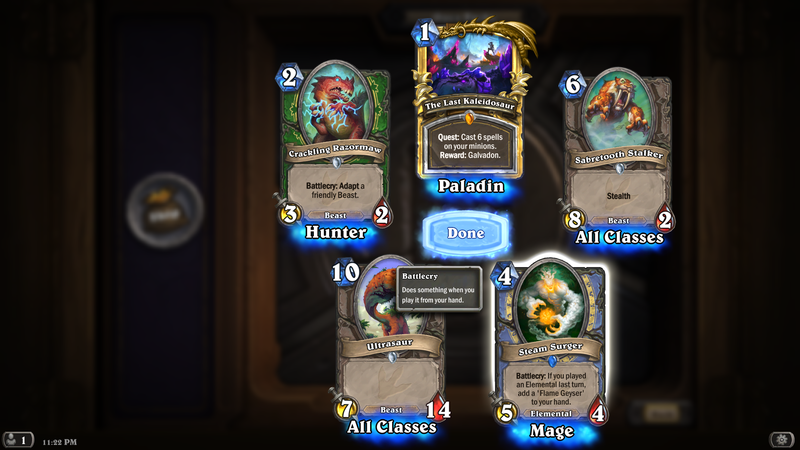 No, after you decide don't open KFT packs anymore maybe. But I really don't think is a bad card, rogue and hunter lacks so badly healing he can be used. As a card, I'd say it's decent and interesting, I will keep mine as I have a decent collection and don't really need the dust, but it will never be staple in any deck, if you're lacking some strong legendaries I'd do it. At the moment he's niche because people are playing for fun, but he'll be tier 5 in the next couple of weeks. 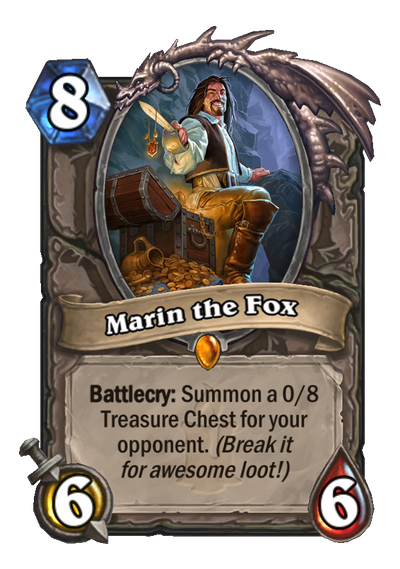 He is a fun card that is overshadowed by tier 1 cards like Medivh and apparently Lich King. So, I know that I 'should wait' but i have 1600 dust. I wanted to craft Jaina, then I heard on a podcast that since everyone will run weapon soon it will be wise to craft Harrison Jones. Is it better to wait, or are any of these a safe bet to craft right away? I would wait! Think Medivh, the Guardian, who was supposed to bring a HJ meta as well, but did not. The new legendary weapons might or might not be meta defining, there is no way to know. Vs agressive decks, cheaper weapon removal is preferable. We have discussed moving Harrison Jones to tier 1, but we are waiting for the same reasons. Personally, I would wait with Jaina too, as there will probably be even more important legendaries released with the new expansion.